Come join us at this unique karaoke session! A fusion of karaoke singing and speed dating – be prepared to go to different rooms and sing your heart out either in a solo or duet setting. The best male and female singers voted by the opposite genders will win event vouchers! 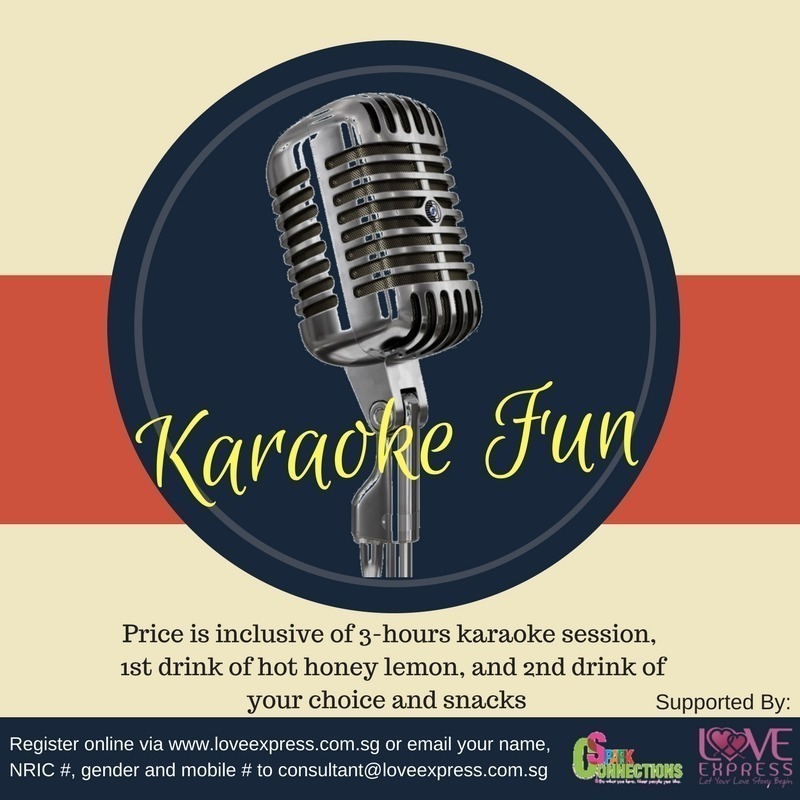 Price is inclusive of 3-hour karaoke session, 2 drinks, facilitation and secret matching (if there is a mutual match, contacts will be released to both participants).